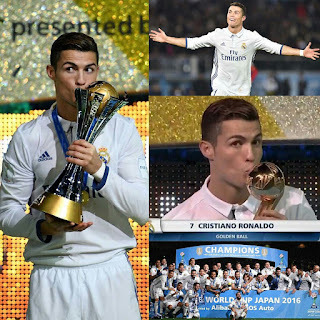 Cristiano Ronaldo on Sunday set a new record as he became the first player ever to score a hat-trick in a FIFA Club World Cup final match. .
Ronaldo fired a hat trick as Real Madrid came from behind before securing an extra time comeback win in the final match of the FIFA Club World Cup. . It almost went bad for the 11-time UEFA Champions League winners as Gaku Shibasaki cancelled out Karim Benzema's opener and put the Japanese side in front as they headed for an unlikely upset. 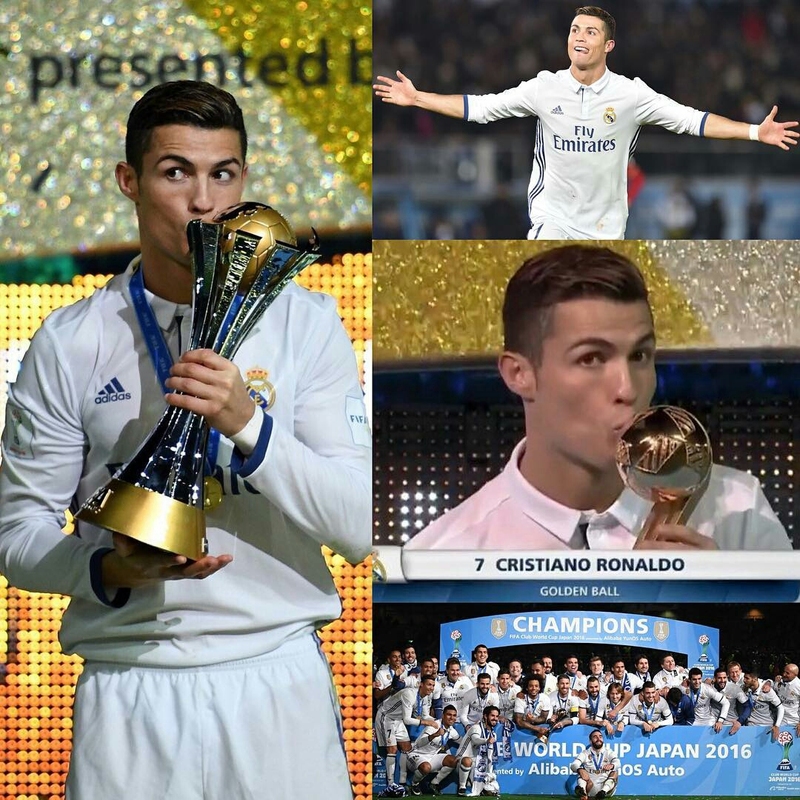 But Ronaldo stepped up and netted a hat-trick, his 40th Real Madrid hat-trick, in remarkable fashion to secure a 4-2 win and the Club World Cup for the Zinedine Zidane tutored side. .
Ronaldo has had a remarkable week – won Ballon D'Or on Monday, scored his 500th club goal on Thursday and won the Golden Ball of the World Club Cup with a record hat-trick in the final. .